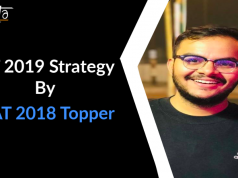 3 Months Strategy for CAT :Getting to the point directly, a lot of aspirants keep asking why their marks aren’t increasing in Mocks even after they have covered the syllabus. Now check the graph above. You see you will forget half of what you read after 2 weeks and 90% after 2 months. This means You will not retain what you learn from a material unless you get multiple repetitions of the information over time. Once you fully realise how much time you are wasting by not reviewing your notes (because you are forgetting so much of what you read) you will start to enjoy it. Hence you need to revise things you have noted down every week. ●Another Popular Query: I am NOT able to solve many questions while taking mocks. But I am able to solve them once the mock is over. =>Why does this happen ? Coz you choke under pressure when in a new environment. Coz taking Mock with a timer, with a goal to deliver best result is a new environment for the Most of you, though while solving after Mock without timer feels homely as you are very comfortable with the environment. =>What does this mean ? You can simply improve Mock Performance by making Mock environment homely to you, ie by taking lots of Mocks + solving any question even at home or FB with your quickest possible way along with your best accuracy. Now how to practice at home to deliver best results. Any question you see in your material or iQuanta FB group, Try to first see the problem and don’t directly jump to the solution provided by others. Do Try at least 5-20 minutes and not spend more than 5 minutes, if you don’t understand question properly and 20 minutes maximum if you are getting ideas after that only you should see the solution. After this you are free to check other’s solutions. This way you’ll get more specific idea about your mistakes. After solving/ seeing the solutions, you have to to decide the difficulty level of the question and always mark these level in front of each question you note. There are 3 levels Easy, Moderate and Difficult which one could relate as Round 1, Round 2 & Round 3 problems too as given in my article on Mock Analysis. 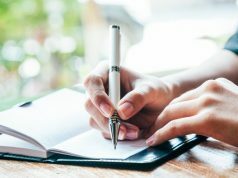 Make a note of new things you learn. And keep revising them weekly. Why? Read first para again for that. After finishing up syllabus of a particular topic, take sectional test / Topic wise test. You have to take test very seriously. As a sectional test is a transition-state environment between Homely environment and Mock environment hence it act as an easy bridge if you wanna shift from one to the other. Try to be accurate as much as possible when you are solving from a book or in iQuanta FB group . If you are doing mistakes in more than 10% of the questions, focus on it and before you sit for the test try to make in your mind that today you are not going to do any mistake. If you make it a target that you have to be perfect, after few tests you will start seeing the results. While solving problems make an environment that should resemble the environment you face at test centre. Don’t answer phone, don’t respond to door bell, don’t get up for water and no music. Inform your Parents/ Bf/ Gf to not call you in your study hours. Keep different time slots for them. Simply stay away from anyone who is negative about you or anybody. They are the frustrated unsuccessful souls who don’t like others succeed as well and will always rant on social media. A person with a goal never pays a single heed to them. Because: A beautiful mind discusses ideas not people. So…. You need to be regular and systematic to follow it. You also need a time table to plan these steps. 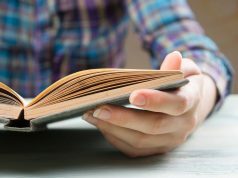 Without schedule, it is impossible to remember steps of various topics and subjects. Here is the following schedule, one can take help from it for making their own Schedule for these 86 days. Direct questions are less but can be applied on a lot of other questions. All questions are Direct or PnC concepts can be applied in few of such questions. Direct or Numbers applied questions or few can be solved using options. All direct and easy ones. Few might seem lenghty though. But this can be the most scoring area hence don’t neglect it. Few direct questions and few can be solved using options.Now there are 3 months, September, October and November. Keep November only for 3 things : Mocks, Revising and Practicing your stronger Areas. You got 2 months to work on your weaker areas. So make a list of weak areas you have. Start practicing them from 1st September. Crash Course : Join a crash course 2 month CAT which will give you rigorous practice apart from Tricks and Shortcuts. 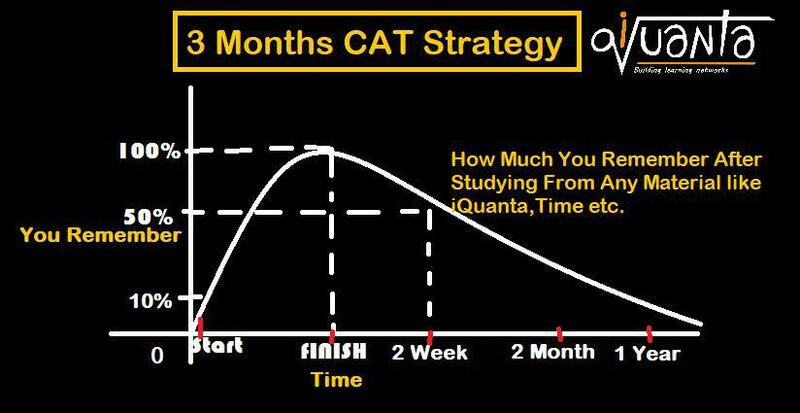 iQuanta is soon starting a Crash Course for CAT 2018 which will help you to boost up your concepts and speed. ●Mocks : Take 2 mocks per week till October. From November take 3 mocks a week. Analyse them properly using this article: Click here to read =>Mock Analysis. Do remember, analysis is the most important part of taking Mock. Shortcuts : For shortcuts enroll into iQuanta Course .There are times when shortcuts can save a lot of your times and to know where to apply and the limitations, you may join the crash course. Chapter Wise Plan: (Considering Geometry, Algebra , Numbers, Functions are your weak areas, while Arithmetic, PnC are strong. From 10th October to 30th October, practice the weaker sub topics of your stronger areas. Revise and practice your strong topics 1st November till CAT. Solve Past CAT papers (you may find them on google or in the file section of the group). You may join iQuanta Crash Course which is of immense help to develop concept and methodology to tackle CAT questions. Regular sessions by iQuanta till CAT will help you be sticked to your plan and be regular which is the most important part of CAT Preparation : Regularity. The only strategy you should follow for RC & LRDI is solving daily 3-4 sets of each from 1st September till CAT. We already have iQuanta events running for each of them. Do participate there. Source: Any coaching institute material. Papers from institutes or mock papers from other coaching classes or practice tests available for free on the internet / group. For video classes of CAT level , you may join iQuanta LrDi classes. They only way to improve retention in RC is to do the summarising exercise. Read the passage only once. Usually a passage has 4-6 paragraphs. While you’re reading a paragraph take a mental note of the central idea of the paragraph. When you are done with the passage you would have collected 4-6 main points. This is what will form the summary. It is not as difficult as you think. Keep a daily practice of reading for at least 30 mins. Basically, read some editorials and also try to summarise from what you read. Reading comprehension (2 hours daily). Start with at least 3 passages per day then increase to 4-5 passages once you gain Accuracy. Sentence Correction, Critical Reasoning, Para jumbles and Para completions. (It’s up to you how to do it. Generally, one should keep 2 days for each topic above). Next articleRight Mindset to Crack CAT ! !